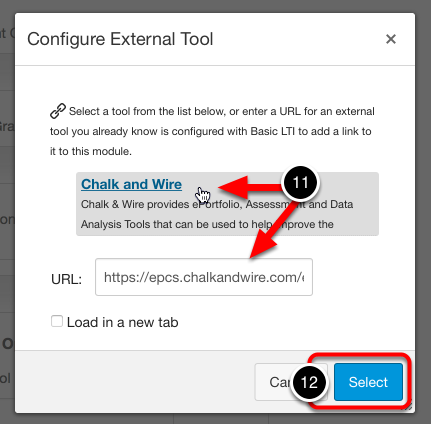 Once you have added Chalk & Wire as an app to Canvas, you will need to associate it with specific courses to create assignments. 1. Using the Courses drop-down menu, select the appropriate course. 2. 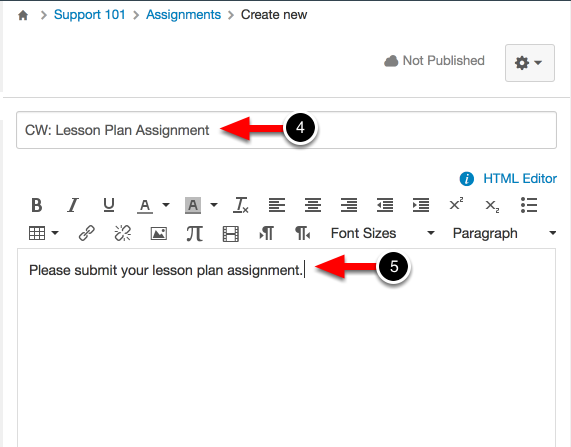 Click on the Assignments option in the navigational panel. NOTE: The assignments option may look as though it cannot be selected, but should be selectable regardless. 3. 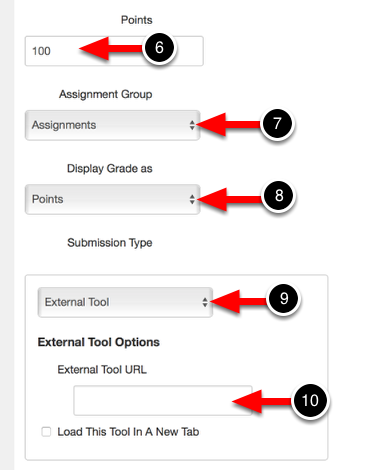 Click on the + Assignment button. 4. Enter a Name for the assignment. 5. Optionally enter a Description for the assignment. 6. Enter the number of Points. 7. Select the Assignments Group. 8. Select how you would like to Display the Grade. 10. Click on the External Tool URL text-entry box to reveal a pop-up window. 11. Click on Chalk & Wire to reveal the URL. 12. Click on the Select button. 14. 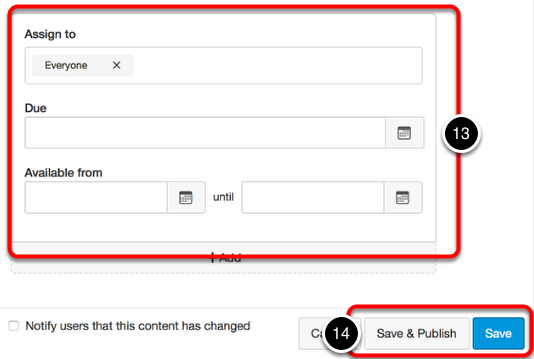 Click on the Save & Publish or Save button.